Drake blessed Drake fans with four new tracks late Friday night. Not only that, he announced that his next album, Nothing Was The Same, is due out September 17. The first song is called "The Motion," and appears to be single material, with a feature from Sampha, a producer and vocalist from Britain. The second song is called "Jodeci Freestyle" and features J. Cole. The third song is a much-anticipated remix the Atlantan trio Migos&apos;s "Versace" (sans Lil Reese who was previously reported to be joining them, too). The final song, "Over Here," features Drake on a track officially credited to his protege, PARTYNEXTDOOR. "The Motion" finds the Toronto rapper in vintage form, venting about the pressure that comes with being one of rap&apos;s biggest stars in 2013. He says, "Seem like everybody calling cuz they want me on they song/It&apos;s like every time i touch it I could never do no wrong/When they need a favor from your man they don&apos;t leave you alone." 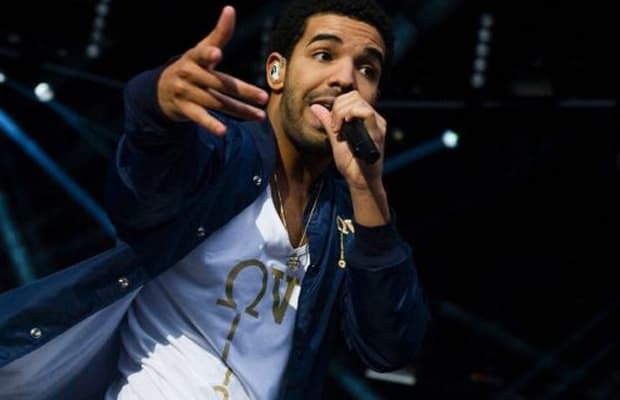 On "Jodeci Freestyle," Drake throws shots at the competition. Refusing to name drop, he could be referring to at least a couple of people when he says, "All stop please stop arguing about who&apos;s the best emcee out/I know that everyone would agree they know you&apos;re not." Cole matches the spirit of the track, although his target is the critics and publications, even throwing a slick shot at Complex. Drake keeps the cockiness rolling on the remix to "Vesace." The Toronto native switches up the flow and declares, "Rap must be changing because I&apos;m on the top and ain&apos;t no one on top of me/Niggas be wanting a verse for a verse but man that&apos;s not a swap to me." He also claims that Nothing Was The Same will sell one million copies in its first week. On "Over Here," Drizzy decides to get real personal and introspective, but he closes it out with some more bragging. "Verses started getting a little more personal now/But that&apos;s &apos;cause everybody else sounding so played out though/Oliver North in the cut Dolce&apos;d out though/A thousand dollar bottle it get poured straight out though." PARTYNEXTDOOR&apos;s project will be the first to drop off the OVO Sound label, coming out July 1. Listen to the songs below.